Do Christians Have to Give a Tithe? Notice the title says, “Do Christians Have to Give a Tithe?” versus “Should Christians give a tithe…” or “Can Christians give a tithe…” If you want to give a tenth, that’s fine. I know wonderful Christians who say, “God expected a tenth in the Old Testament, so I want to give a tenth in the New Testament.” Many people look at the Mosaic Law for principles to apply today, including in the area of giving, and that’s fine. But if you think Christians have to give a tenth, that’s different and you should keep a few things in mind. Also, notice the title doesn’t say, “Should Christians give?” The answer to that question is, “Yes!” Please check out this post to see how much should Christians give. Giving a tenth was commanded under the Mosaic Law. Christians are under the Law of Christ, which carries forth the morality in the Mosaic Law: “Do not lie…steal…murder…commit adultery.” You see all these commands confirmed in the New Testament. But the ceremonial commands – including those related to giving a tenth – are not maintained. There was a tithe for the Levites, the use of the temple and the feasts, and the poor of the land. This actually pushed the total closer to 23.3%. Even though I’ve met a number of Christians who say Christians should give a tenth, I’ve never met any who feel bound to this higher percent. Under the Mosaic Law, people were expected to give a tenth of their grain, wine, oil, and even their animals. I’m not sure how this would apply today. Give one tenth of food or clothes? Again, I’ve met Christians who feel bound to give a tenth like the Law commanded, but I’ve never met any who actually give a tenth like the Law commanded. In Galatians 5:3 Paul said, “I testify to every man who becomes circumcised that he is a debtor to keep the whole law.” (See also Romans 2:25 and James 2:10). There’s no such thing as keeping part of the Law, or picking and choosing. If you feel bound to give a tithe because the Mosaic Law commands it, you should feel equally bound to obey the other 612 commands in the Law. Abstain from certain foods and avoid mixing certain fabrics together. If giving a tithe was commanded under the Mosaic Law and then carried over to the New Testament, then we should feel bound to give a tithe. But the New Testament nowhere identifies or recommends a percentage to give. 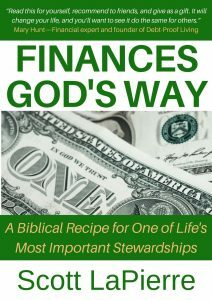 Hebrews 7 discusses Abraham giving a tithe to Melchizedek. Outside of those verses giving a tithe is nowhere mentioned. When Jesus said, “These you ought to have done without leaving the others undone,” He was speaking to people under the Old Covenant. The New Covenant was not instituted until the Last Supper. Therefore, these people should have been giving a tithe. But the absence from the epistles – the letters of instruction for Christian living – is particularly significant. If New Testament believers were expected to give a tithe, it’s inconceivable that no letters would discuss it. Do you agree or disagree with the post? What was your previous view of giving a tithe? What is your view now? The idea of tithing is an interesting one. The word tithe literally means a tenth of something. As far as why it wasn’t mentioned more in the New Testament, I think that answer can be found in Acts 15 when the Jewish Council met to determine the best ways to instruct new converts without overwhelming them to the point of distress. We know that as believers we are supposed to do more than the 3 things addressed in the letter sent to the new believers, but it’s a process of learning and growing and they had access to the law of Moses which the Christian leaders at that time believed was extremely important to still understand. They did not see it as null and void. I would also point out that the Bereans were counted noble because they tested Paul’s words against Scripture, which was the Old Testament. Everything that is said in the New Testament can be found in the Old. The Epistles help explain many things to new believers who had no history of God or his of workings before hand, but they were always pointed back to the Scriptures. 1. “Now we give more.” – This looks to one of the weaknesses associated with holding woodenly to an Old Testament viewing of giving a tithe: God might expect many people – especially people in the US – to give much more than 10%. You said, “as believers we are supposed to do more than the 3 things addressed in the letter sent to the new believers.” That’s right! And then those things are explained for us in detail in the epistles, so we don’t have to wonder, “Should we or shouldn’t we?” The absence of a command to tithe in the epistles is particularly significant. Instead of being told how much to give, we’re told how to give…which you mentioned: joyfully, cheerfully, etc recognizing it’s ultimately God’s money. Now, generally Christians use this verse to say “look, He did away with the law”, but that’s not what He said. He said He came to fulfill the law. So, what did He fulfill. Did he fulfill Sabbath keeping? No, that points back to creation, not forward to Christ. Did he fulfill murder? No, that’s about respecting God’s creation, not about Christ. And so forth. So, what did He fulfill? He fulfilled the sacrificial system of the Old Testament. So, everything connected with the temple ceremonial system. We no longer need to sacrifice animals, because they were pointing forward to Christ’s sacrifice. We no longer need to worry about being ritually clean or unclean because those were about the temple system. So, I disagree that we are no longer under “mosaic” law. It’s God’s law, not Moses. Jesus kept mosaic law. After He died, his disciples continued to as well. So did Paul. And then of course, the pivotal verse is Romans 3:31, where Paul says that faith doesn’t abolish the law, it upholds the law. He says that the law is good and holy (Romans 7:12), that the Law is spiritual (Romans 7:14), That he delights in God’s law (Romans 7:22). There are so many verses about this that a Christian cannot uphold the idea that the law is done away with. 1 John 3:4 says that if you sin, you transgress the law, because sin IS the transgression of the law. 2 Corinthians 6:14, the passage about being unequally yoked calls unbelievers “lawlessness”. Therefore, believers should “follow the law”. Because that is righteousness. Romans 4:7 sys that blessed are those whose lawless deeds are forgiven. Why would they need to be forgiven if we didn’t need to hold to them any longer? Hebrews 1:9 says that God hates lawlessness. Lastly, Romans 10:5 says “For Moses writes about the righteousness which is of the Law, “The man who does those things shall live by them.”” In other words, “mosaic law” = righteousness! This is not a legalistic approach to faith. We don’t keep the law because it will keep us from heaven. Rather, we keep the law because we respect our Father, our Creator, who designed us and knows what’s best for us. It’s what I hope my children will do. If they break my rules, I won’t kick them out of the house, but I hope they will keep them out of respect and love. Plus, it’s a direct commandment from Jesus to keep His commandments (John 14:15). Sometimes we forget that Jesus is God. He was there when that “mosaic law” was written. Those are His commandments too. So, that’s just about you saying we’re not under the law. Then we have the problem of you saying it was a mosaic law. It predates mosaic law. Genesis 14:20 and Hebrews 7:4 tells us that Abraham gave the priest of God 10% of his income (his spoils of war in this case). That seems to be a very specific number to just be a random occurrence. I think he was inspired to give that much. My point is that we need to follow mosaic law, and that it predates mosaic law, so this point isn’t valid. In the Old Testament people were under the Mosaic Law, or what could be called the Old Covenant Law. In the New Testament, believers are under the Law of Christ, which could be thought of as the New Covenant Law. You can read more about it in this post I wrote: The Law Christians ARE under. If you don’t garden a certain way, wear tassels, etc. then you shouldn’t say we’re under the Mosaic Law. You’re being inconsistent. In another post you said we’re not bound to the ceremonial portions. So then at least you’d have to say, “We’re only under some part of the Mosaic Law.” Or you’d probably say, “We’re under the moral commands.” I would generally agree with that statement in that the morality of the Mosaic Law was carried forward into the Law of Christ. But then again, we’re still under the Law of Christ and not the Mosaic Law. You said, “[tithing] predates mosaic law. Genesis 14:20 and Hebrews 7:4 tells us that Abraham gave the priest of God 10% of his income (his spoils of war in this case).” I agree that Abraham gave Melchizedek a tithe. The Scripture says as much, but just because something is descriptive doesn’t mean it was prescriptive. Sacrifices also predate the Law, were commanded in the Law, and you would say are done away with. Just because something predates the Law doesn’t make it perpetual. Second, God commanded giving a number of tithes. Well, yes, and no. The three tithes were quite different. The first was given to God’s workers. In my denomination, tithes go directly to the denominational conference (it governs all the churches in our province), and goes to paying the pastors and administrators of the church. That’s how we’ve adapted tithe for Levites in our modern age. The local church doesn’t keep any of it. But we also don’t pay our pastors, the conference does. However, the second tithe was different. The people were to eat it. It was for the feasts. We no longer keep the feasts (they point forward to Christ), so, that tithe is no longer needed. Then there is a third tithe, which only happens once every 3 years (your 3 1/3%). That was not a tithe to the church or God either. This is a tithe to the needy. The poor, whether believers or not. Anyone who needed food. So, yeah, I think we should still be tithing. I think we should also be giving food to the needy, and the new testament upholds both of these practices. I’ll get into the tithing later on, I don’t think I need to list verses in the New Testament that tell us we should care for the poor. So yeah, I think devoting 3 1/3% to the poor is a good practice as well. In addition to that, the word used is a tenth. That’s a very specific word. They could have used the word “offering” or “giving”. Why “the tenth part”? Why did Abraham give a tenth part? Seems like the practice started at least at his time. Quite possibly earlier. Remember, the laws given in those books were from God to re-teach the Israelites what they had forgotten in a lot of cases. Many of the commandments given after the exodus were given prior to that as well. But the Israelites had been in Egypt for 400 years and had forgotten. Maybe ten percent is enough to make it hurt. It seems to generally be enough to make you struggle with the giving. Whatever the reason, 10% seems to be the standard given by God. I’m not quite sure what you meant by this comment. I said God commanded giving a number of tithes, you said, “Well, yes, and no” and then you went on to explain those tithes. I’m sorry, but what’s your point? My point is since God commanded a number of tithes – which you described – then people who feel bound to give a tithe should actually be giving much more than 10%. Approximately 25%. My point was that the second 10% was for the feasts, which we no longer hold. So, how should we given them? To what cause? We’ve lost the reason, therefore we no longer have to give. That was fulfilled by Christ. We still have the poor though. As I said, I think it’s wise to give that 13.3%. Sounds like good counsel from God, as always. It’s very interesting to hear you say, “That was fulfilled by Christ” in relation to tithing. That’s exactly what I would say as a reason for not being bound to give a tithe under the New Covenant…along with the fact that God wants us giving joyfully instead of begrudgingly (2 Corinthians 9:6-7). Third, God commanded a tithe on more than money. That’s because those people were growing grain, win, oil, animals. They were to tithe on the “increase” of their herds. Basically, tithing on their income. In a lot of cases, they didn’t use money, they just bartered. We don’t do that any more, so that’s not terribly relevant in our culture. However, if the dollar ever dissolved and we went back to a bartering system, then yeah, we should be tracking the increase of our assets and tithing from it. What amazing is that God created a system that both works with currency and without! Again, I’m not quite sure your point with this comment. Did you feel you needed to respond to each of my points? I don’t mean that harshly, but the last two comments didn’t disagree with anything; they simply explained my points in greater length. We have an elder in the church who runs a dairy farm. If he felt bound to keep the Mosaic Law then he’d have to give a tithe of his cows. Since you feel bound to keep the Mosaic Law you can’t say, “it’s not terribly relevant in our culture.” Culture doesn’t negate God’s Law. If you feel bound to the Law, then you should be keeping it regardless of culture. It’s the perspective on the points that’s different. You are arguing (as I see it) that the Old Testament are no longer relevant. I’m saying they are, though our methods may have changed. As for your friend with the dairy farm, yeah, I think he should title the growth of his herd. We’re to give of our increase. He increased. I would never say the Old Testament is no longer relevant. I love the Old Testament and I have taught from it as often as I’ve taught from the New Testament. My first few years at WCC were spent preaching verse-by-verse on the life of David through 1 and 2 Samuel and into 1 Kings. But I would say we are no longer under the Old Covenant, and by extension no longer under the Mosaic Law associated with it. Instead, we are under the New Covenant and the Law associated with it: the Law of Christ. Fourth, if you feel bound to give a tithe, you should feel bound to the rest of the law. You’re taking a point that was a covenant for the Israelite nation and applying it to gentiles (us). There are different categories of laws and we need to make sure we know which is which when deciding which to keep and which are no longer required. Those laws relating to the sacrificial system (as mentioned in point 1) were fulfilled by Christ. Those laws of separation that related to the Israelite nation we no longer keep. Things like mixing fabrics were to make it easy to tell an Israelite from a non-Israelite. At the time, God’s covenant was with one nation. They didn’t evangelize. Circumcision was a part of this category of laws. That’s why it’s no longer needed. God’s people has expanded beyond the Israelites since they rejected Him. There are also judicial laws which we don’t use, because we have our own judicial system. We don’t do “eye for an eye” anymore. We just make them pay money instead. There are laws about keeping clean and healthy. Not ritually, but physically. How to deal with mold and mildew, that doctors should wash their hands in running streams, etc.. Well, we still make doctors wash their hands in running water (though that’s a fairly recent change historically), but we have cleaning products to handle mold and mildew. We no longer have to abandon the house in most cases. And then there are laws governing our relationship with God. I do abstain from those foods that God says were never meant for consumption. Why? Because I think He knows better than I do about the animals He created. I tithe. Why? Because He tells me that if I do it, I’ll see benefits. I might not see more money, but our relationship is deepened. I don’t murder, because I respect His creation. I keep Sabbath because that’s the day He chose to memorialize Creation. My point is we don’t get to pick-and-choose, which it seems you think people can do. The Mosaic Law has never been a buffet. See the verses I quoted in the post. You take all of it as it is, or none of it. I anticipate your response: “So you’re saying we’re under no Law?” No, I’m not saying that. Like I said in a previous comment, we’re under the Law of Christ. Again, see this post, The Law Christians ARE under. You’re right, we don’t do an eye-for-an-eye. It’s interesting you mention that, because you’re showing not just that you think we’re not under the Mosaic Law, you’re quoting Jesus who said we’re not under it. Here’s something you said that I really, really appreciate: “I tithe. Why? Because He tells me that if I do it, I’ll see benefits. I might not see more money, but our relationship is deepened.” I think this is a great statement, but this is much different than, “I tithe. Why? Because it’s commanded by God.” If you want to tithe for the reason you mentioned, great, but don’t say it’s commanded when it’s not. Some people should be giving way more than 10%, and others might experience circumstances where 5% would be too much. I’ll comment on the Sabbath page for that one. Great. Now we’ll have three different posts we’re trying to keep up with :). Fifth, the New Testament nowhere commands giving a tithe. That last part is important, you can’t ignore it. Jesus said “You should have been doing law (note: law is a good thing according to Jesus), judgement, mercy, faith WHILE STILL TITHING. There’s your clear commandment from God Himself. Plus, there’s a problem with your argument. As discussed in point 1, the New Testament didn’t start a clean slate of “law”. It’s a continuation of the story. You don’t just throw everything out and say “well, if they didn’t say it in the new testament, then it’s not important.” Remember, for these people there was no New Testament. They relied on the Old Testament to tell them how to live. They didn’t repeat a lot of stuff, because it wasn’t necessary. They did repeat many things in the Old Testament when it came up for debate, or a specific thing needed to be taught. Jesus quoted the Old Testament far more than He didn’t. In short, I don’t see any of your points holding water. Rather I see a consistent message in the Bible of tithing to remind us that God is our Creator, that He gave us all we have, and only asks that we devote a tenth part to His service. I changed my post as a result of your observation. I don’t think it matters, because – as I added in the post – Jesus was speaking to those under the Mosaic Law and they did have to give a tithe as a result; however, if it makes me look intellectually dishonest, then I should have it. So Jay, besides this statement Jesus made to those still under the Mosaic Law, where do you see anywhere in the New Testament – especially in the epistles, which are the letters of instruction for Church Age believers – that we should give a tithe? Nowhere. It’s not even mentioned anywhere else in the New Testament, except when Hebrews mentions Abraham giving a tithe. But then it’s descriptive and not at all prescriptive. No problem Jay. Even though we completely disagree on this topic, I appreciate your thoroughness and heart for marriages. Maybe I wasn’t clear enough in the post, so I’ll ask so you can tell me if this is how you read it or not: Does it sound like the post is saying not to give at all? 1. Do you feel bound to give all the tithes commanded in the Law or just one of them? 2. Do you feel bound to keep other parts of the Mosaic Law, like avoiding certain foods, wearing tassels, etc? Thanks ahead of time for answering! I genuinely do want to understand! I’m so thankful that I have honored the tithe over the last 30 plus years. The teaching I received in giving our first fruits to our God who is such a giving God was so liberating and I am so grateful that I was taught truth and tested God in this way according to Malachi. God has blessed us above and beyond and I’m not just speaking monetarily. This post is so contrary to what we read in the scriptures and it is very disappointing. Can you please answer a few questions for me? 1. Which part(s) of my post did you disagree with? 2. When you say you “honor the tithe,” which one? Like I said in the post there are 3-4 of them. 3. What New Testament verses do you use to support giving a tithe? Thanks and hope you have a wonderful 4th of July!